We Alpha Bakers are gluttons for punishment. Or maybe just gluttons... Anyway, after an inspired suggestion by Glori from Apertures and Appetizers, a number of the Alpha Baker group have decided to work on improving our bread baking skills by baking through Rose Levy Beranbaum's Bread Bible (alongside our Baking Bible bake-along). Uber-Alpha Baker, Marie Wolf, baked through the Bread Bible by herself a number of years ago. You can read about it on her blog BreadBasketcase which is a showcase for her dry wit and humorous take on life as well as her baking skills. It's well worth reading through from the beginning. The Alpha Bakers plus a number of others will bake from the Bread Bible once a month, following Marie's original recipe schedule. Even Marie is joining in! I think that makes her an uber-glutton. 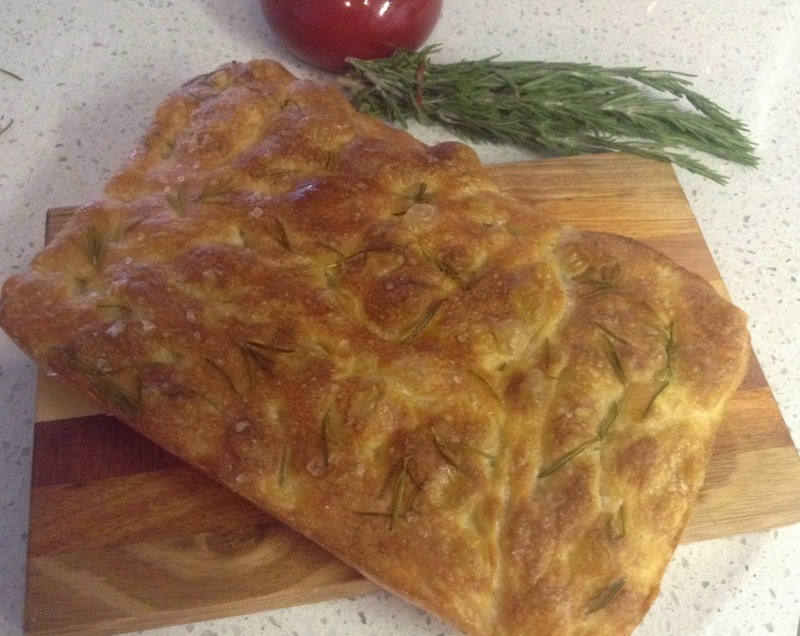 First up is the controversial Rosemary Focaccia. Just google it and you'll see all sorts of debate and complaint about the recipe. The potential trouble stems from the large ratio of liquid to flour in the recipe. Some people have ended up with a gloupy mess rather than bread (including Marie initially). The key seems to be in the flour. Rose now specifies that the flour should be one of three brands. This is not really useful for those not in the US or Canada since they are not easily available elsewhere. I used my usual Laucke Wallaby bread flour which has a strong protein ratio, equivalent to the flours specified by Rose - and hoped for the best. 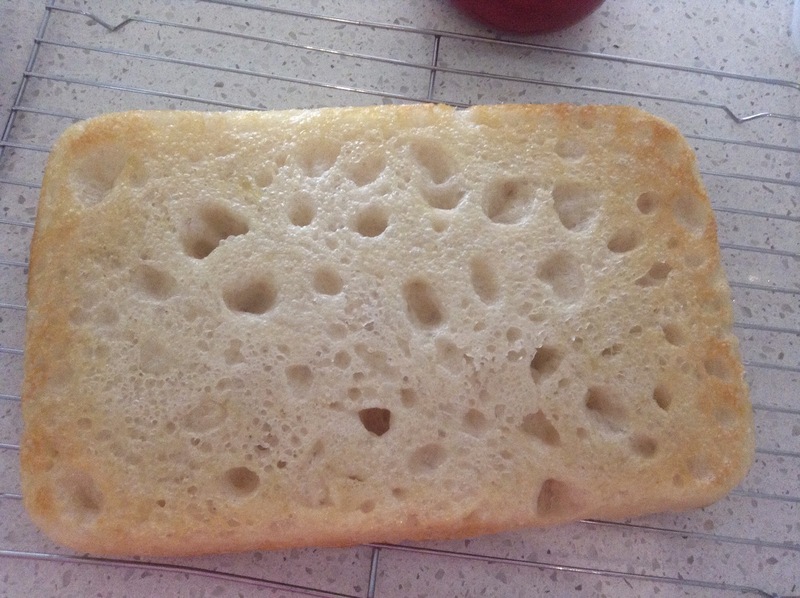 I'm not sure if it was beginner's luck but my bread dough came together just like the recipe said it would, and produced a delicious focaccia. The recipe isn't difficult to execute. You put flour and yeast in the stand mixer and add water. Then mix for twenty minutes. I was a bit worried about the stand mixer lasting the distance but it withstood the test. Taking Rose's advice I added the water slowly, making sure it looked like the flour was taking it up. It looked very wet but not soupy as some had described so I thought it was okay. In reality I had no idea what it should look like but ploughed on regardless. I could see after about ten minutes (what I think were) gluten strands forming and after fifteen minutes it had formed a ball of sorts and was climbing the beater - as you can see in the last photo. It was pretty exciting at this point. You add the sugar and salt and continue mixing for three minutes. Once I turned the mixer off the dough relaxed into the bowl again. But it did look like stringy mozzarella which was Rose's description for this stage. I left it to double in size which didn't take the four hours Rose suggested. 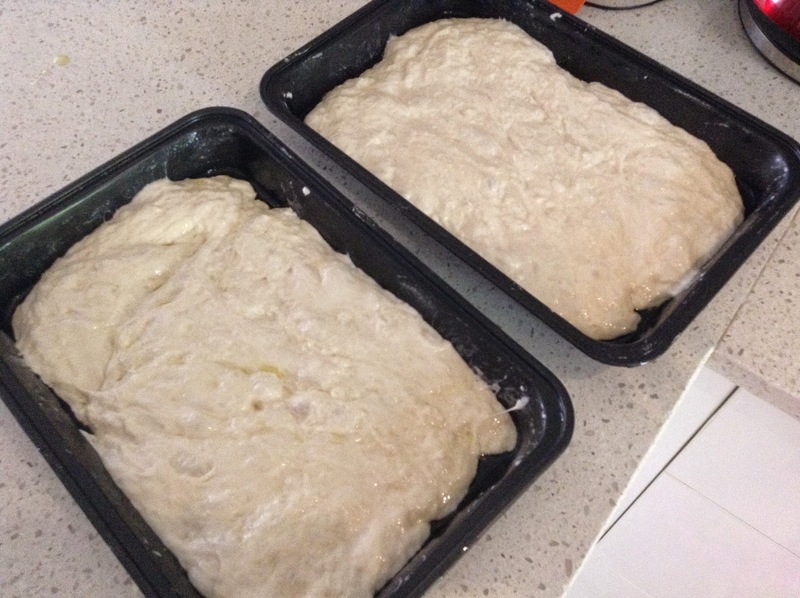 Possibly because the hot and humid climate is conducive to fermenting bread. 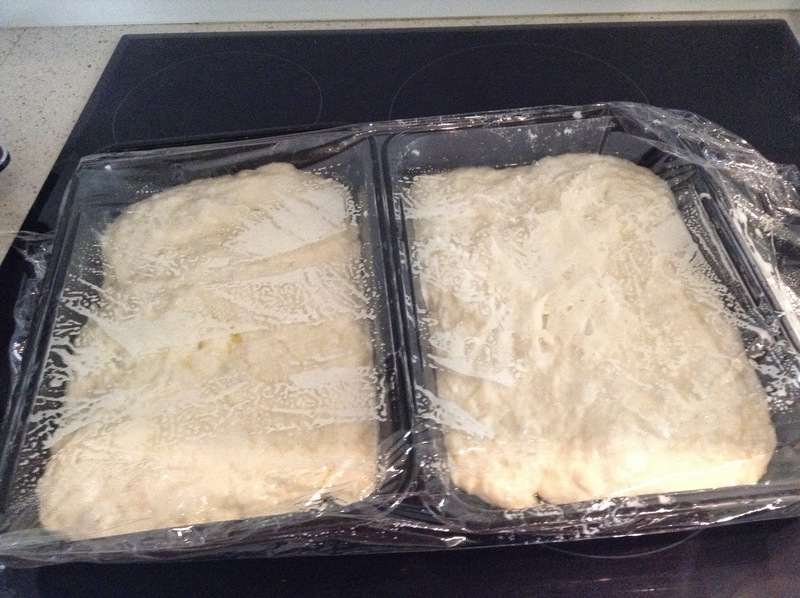 I'm still using my convection microwave (BAD customer service Baumatic) so I had to divide the dough into two pans. 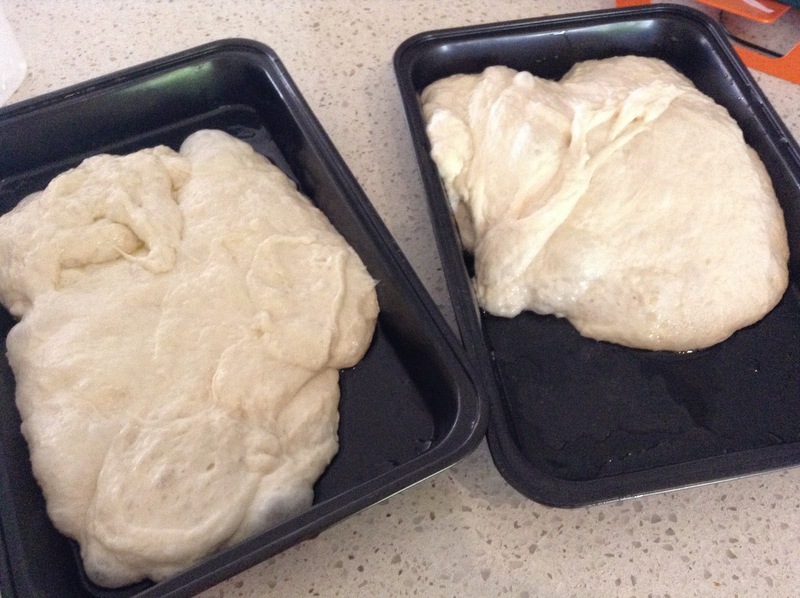 It had lots of air bubbles and was very runny but still holding together like a dough. I spread it out in the pans and left it to double in size again. 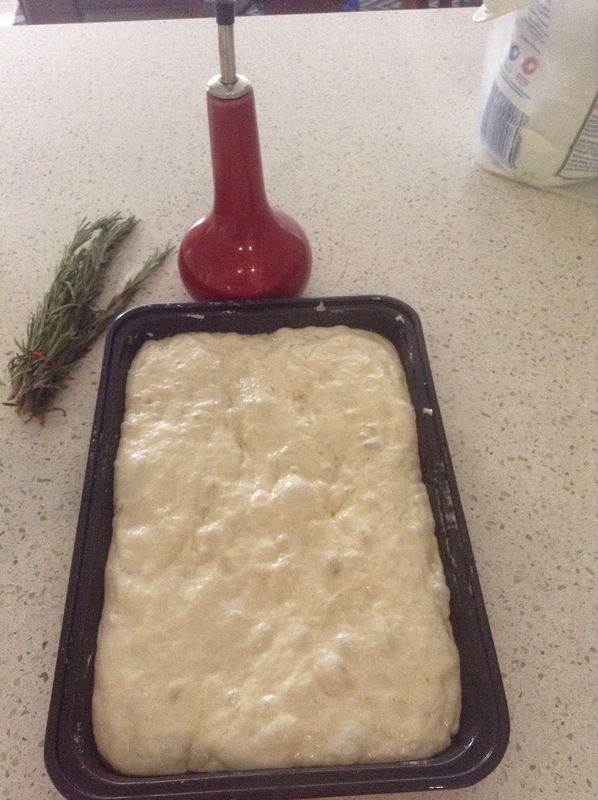 At this stage you add olive oil, sea salt and rosemary and then dimple the dough with your fingers. It's great to get your hands on the dough although you're meant to be gentle to avoid destroying the air pockets (otherwise referred to as bubbles). The first pan I cooked for the stated time (30 or 40 minutes I think) and it was definitely done. However because I was cooking in the convection microwave I had to improvise with a cake tin lid for the 'pizza stone' and it didn't brown the bottom much. As you can see here. But it does have nice air pockets. I baked the second one until it was much browner on the top but the bottom was still a bit pale. It didn't matter since they were both absolutely delicious. It was hard not to eat them all at once. I couldn't believe how easy care this bread was to make, once you got past the danger zone of mixing it to the 'ball' stage. I think I'm really going to enjoy the Bread Bible bake-along. 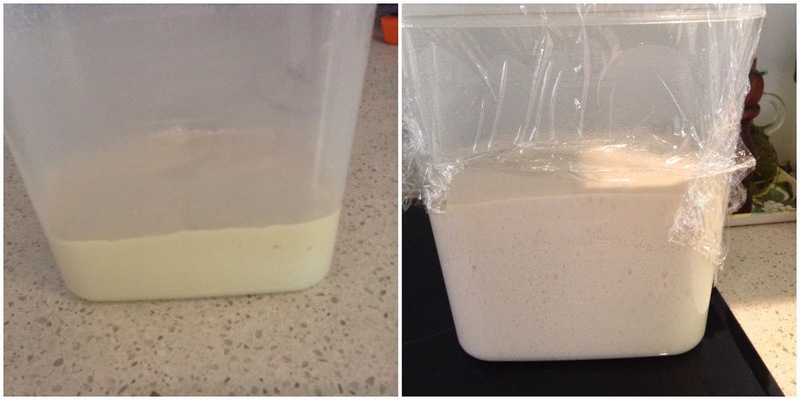 There's something really magical about adding yeast to flour and watching it grow. Next month is pita bread. I protest..I am not a gluten..I mean glutton! LOL! 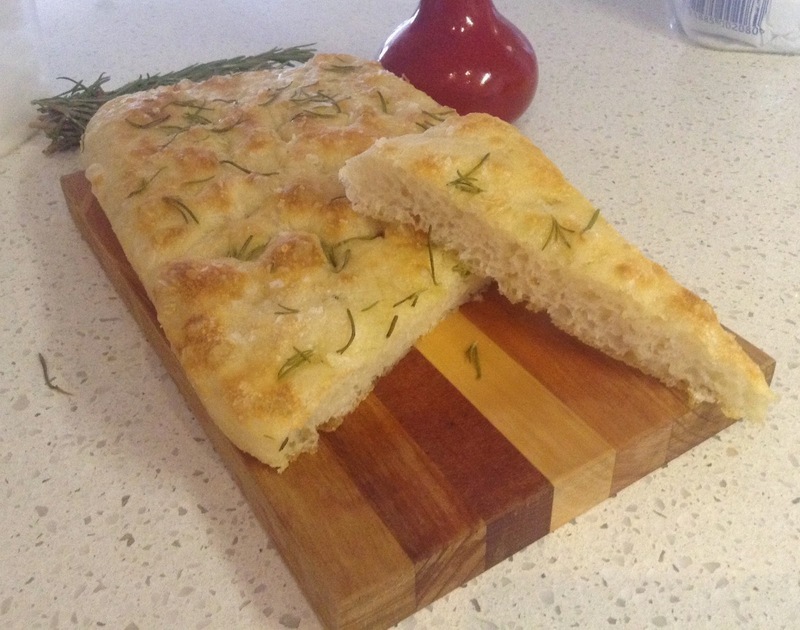 Your foccacia looks wonderful! I won't have known it was baked from microwave oven! I didnt know microwave oven can bake so well too. Now I know. 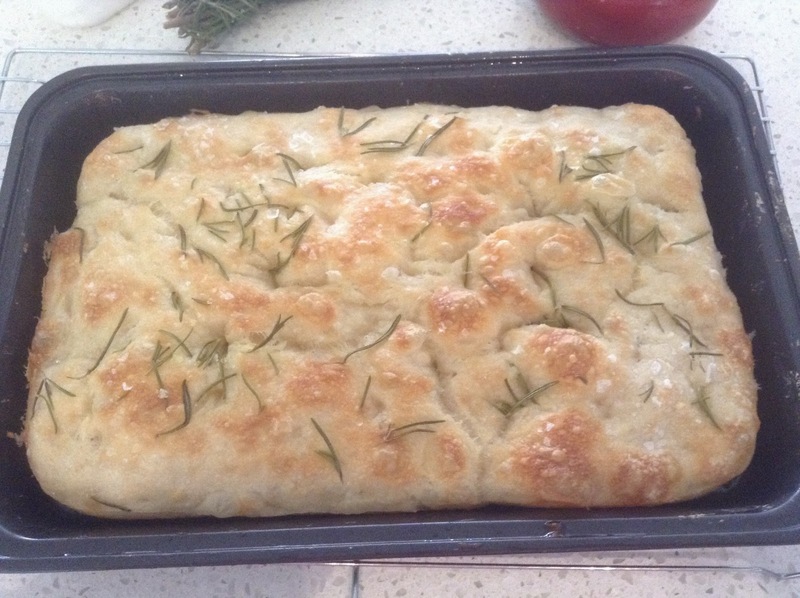 Your focaccia looks really yummy. Seeing it makes me want to make it again. Wasn't it an experience? So delicious and satisfying. Look how beautiful it turned out! Yours turned out great! Nice and fluffy looking. I was afraid to disturb the bubbles when dimpling but the dough felt so nice to touch, I dimpled away. Thanks for the mention and link. This is going to be so much fun! Your photos are pure torture! So glad I wasn't able to bake this one this week. I don't think I'd be able to control myself! Hi Catherine: I love this recipe! Mine turned out really great too, and I will make this often. I am so glad we are doing this project! I love the Alpha Baking group but it's great to have a break from all the sweet treats. 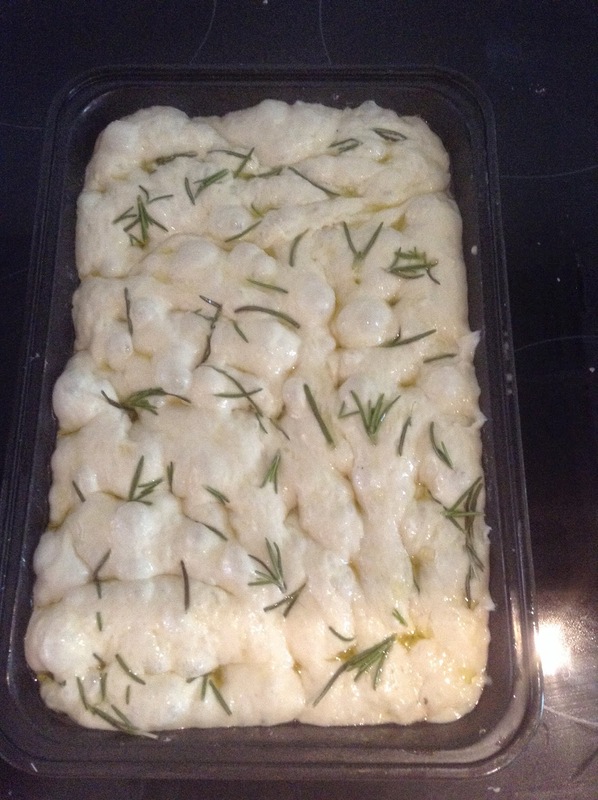 What a way to start a new baking adventure :) Well done, your focaccia looks fabulous!